Getting ready for back to school - our checklist! As I was browsing Facebook the other day, I noticed a friend’s picture of her adorable daughter all excited about her first day of kindergarten. What?! How can it already be back to school time? We experienced record high temperatures of 108 in Portland last week and this week we are still in the 90’s. This heat wave definitely feels like summer! Well, I realized parents living in other parts of the country are already packing school lunches and wishing kids a happy school day. We still have a couple of weeks to go here in the Pacific Northwest before the kiddos head back but seeing my friend’s picture reminded me that it might be a good idea to start planning for a stress-free transition back to school. I looked up to see if the school supply list was already posted on the school website and no way, it was! I printed two copies so each one of my kids could check off items and feel in charge. Before we left for the store, I checked if we still had any school supplies left from last year. To avoid any discussions about wanting vs. needing stuff in the middle of the store aisle, I made sure to set expectations with the kids on what we would definitely not need this year. While our school supply shopping still took forever and my head felt like it was spinning from kids excitedly showing me notebooks and backpacks and lunch boxes and….. all at the same time, I survived the trip and got the job done. Pfff! When I talked with my mom about the experience, she told me I got “a cookie from my own dough” which is a Dutch expression that means “a taste of your own medicine”. It’s true. I loved shopping for school supplies as a kid! It is so much more difficult to schedule appointments when school is back in session. Between homework assignments, after school activities and other commitments, it can be so tricky to fit appointments into a busy schedule. It doesn’t always work out but I try to schedule our kids’ medical, dental and orthodontic appointments while we are still on summer break. If the timing doesn’t work out due to insurance requirements or spacing between appointments, I look for dates on the calendar when the kids have a teacher planning day or other no school day. Whether you are planning for child care after school or extracurricular activities, it helps to plan ahead. Does your child need new soccer cleats? Now may be the time to find them on sale! Do your kids’ activities overlap or fall on the same days? Are you planning to carpool with other parents? Time to figure out the weekly schedule! I’m not always good about getting enough sleep myself but I am a big believer in our kids getting good sleep! Quality sleep makes such a big difference in their moods and everyone knows it’s important for learning. Our kids must have been growing a lot this summer because it seems that all they do right now is eat and sleep! They have been sleeping in really late so the plan is to start getting them back on a regular sleep schedule and waking them up earlier so the shock is not as great when that first day of school alarm bell rings! This is a silly one maybe but besides a new haircut looking good for those first day of school pics, it is nice to start the school year without having to worry about haircuts for awhile! It’s one of those chores that takes quite a bit of time, but at least is easy to schedule. Much easier than doctor appointments or dental appointments! Those first few weeks of school are always crazy busy though, so you will be thankful when haircuts are checked off the list when school starts. The calendar fills up quickly so it’s helpful to get important school dates on the calendar now. When are the teacher planning days? Any late openings or early release days? When are teacher-parent conferences? Will school host an open house evening? Getting these dates on the calendar helps to avoid scheduling conflicts which leads to more work on your part. Save yourself the headache of trying to frantically reschedule things at the last minute by getting organized now. What helps your child transition back to school? What helps you to have a stress-free transition? Any other items on your checklist? I would love to hear from you in the comment section. If you find this back to school checklist helpful, please help other parents stay sane and share! Thank you! P.S. Did you know I have an Etsy shop with bilingual and educational printables? Especially helpful for those parents with kids who are in a Spanish Immersion program, the bilingual printables can help your child to refresh their Spanish language skills before school starts. Click the button above to check them out! How are you doing on your holiday prep? Are you feeling well prepared to enjoy the holidays in a relaxed state of mind or are you feeling stressed rushing around to get everything done on time? December is such a busy month! Every year, I tell myself to start earlier but then the holidays come so quickly again... If you're like me, you will find yourself wrapping gifts late at night right before Christmas! If you don't have the energy at that point to run to the store for more printed gift tags, I have another solution! I recently added a gift tag printable with my Polar Bears with Heart design to my etsy shop. These gift tags are super affordable as there is no limit to how many you can print. Plus, like I said, the best part is that you don't have to head out to the store again! The polar bear design works great for any holiday or celebration in winter, whether you celebrate a birthday, Christmas or Hanukkah. To find this cute gift tag printable, head over to my etsy shop by clicking the yellow button. If you like my illustrations, I really appreciate it if you share with friends! Thank you so much! Best Wishes for a Joyful and Peaceful Holiday Season! Just a quick post from me tonight as life has been super busy during these last few days of the school year. Are you feeling it too? Yes, it’s true.... While I was chaperoning an all day field trip today, our kids will be on summer break starting Friday of next week! How did the school year go by so very fast?! As you prepare for lots of family fun this summer, I just wanted to remind you I have a free printable The Anti-Boredom Kids Calendar to help you out on those days that the kiddos need a bit of inspiration on fun and creative activities to play. Also, here are a few fun items to bring on your summer camping trips. From water bottles to playing cards and cool t-shirts to personalized string backpacks with your child's name, these camping themed items make great end of the school year gifts! Our kids love the local library’s summer reading program. 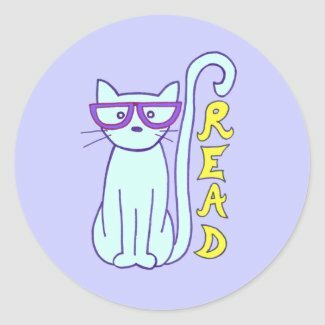 This tote bag is perfect for hauling books to and from the library and the stickers are great summer reading prizes if your child is keeping a reading log this summer. Smart feature: You can even fold up the tote bag with a snap closure when you are not using it. So handy! Do you have any fun plans for the summer? I would love to hear about your family adventures in the comments below. Have a great summer! As we approach the end of 2015, I’m once again amazed at how quickly this year has passed by. This is exactly the reason why it is important to take time to pause and reflect on the highlights of the year. ​I wrote a list of prompts to help in this process and wanted to share it with you. While it can take a bit of time to reflect, I made this list short and to the point so you can fit it in your busy schedule and end up not skipping this important exercise! You will find that you can apply these prompts to your personal life as well as your work life. What accomplishment(s) did you feel most proud of? What were your favorite memories this past year? Did you learn any new skills? What worked well in 2015? Did you overcome any obstacles? What accomplishment(s) did you feel most proud of? 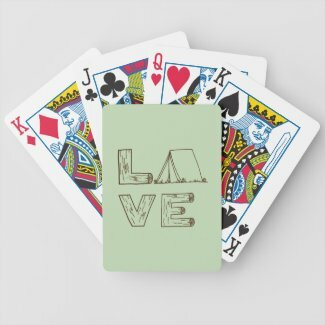 ​I created 6 exciting, new designs which I published on hundreds of products (from apparel to home decor to paper goods) in my zazzle shop. The feedback on these designs has been very positive. I have also continued working on my stained glass mosaic artwork and was approached by a retail boutique who will start carrying my mosaic bird feeders in 2016. So excited for this new opportunity! What were your favorite memories of 2015? One of my favorite memories for my creative business was receiving a repeat order of my Honey Bee design from a customer who has been using it for the past couple years to illustrate a “kindness campaign” at her local school. You can find my original blog post about this here. I feel so honored that my illustrations are being used to promote kindness in this world! Did you learn any new skills? Yes! I continued learning about creating stained glass mosaics on a variety of substrates including glass. I started working with Copic markers in my illustrations and found I absolutely LOVE them! I redesigned my website and learned how to make it more friendly to visitors. What worked well in 2015? My health was much better in 2015 than the year prior which allowed me to spend more time being creative which in turn helped my health again! Such a positive circle of cause and effect! I have worked hard to get stronger and plan on continuing this effort in 2016: taking time for walks and doing my physical therapy exercises daily. Please join me! Did you overcome any obstacles? My biggest obstacle is making excuses that I’m too busy to fit in creative time and managing my commitments. I have made some progress this past year, learning when to say no to volunteer opportunities or other claims on my time but I still have more learning to do in this area! Looking back over the past year, I have been able to spend more time on my creative business. It is a trend I’m planning on continuing because it adds so much joy and happiness to my life! As we close out the year and start a new one, I encourage you to find some time to look back and celebrate the highlights of 2015. I hope you find my list of prompts helpful. If you do, I would love it if you leave me a comment. I wish you a very Happy New Year! Thank you for your continued support! Finding a meaningful gift for your family and friends is not always easy. To help you minimize the running around during such a fun but busy season and help make your shopping easier, I have created a collection in my zazzle store with some wonderful gift items for all ages. you can get free standard shipping with zazzle black (more information at https://www.zazzle.com/zazzleblack ) during their free 30 day trial or pay $9.95 annually for free standard shipping all year long. you can easily create keepsake gifts by customizing products and personalizing them with a name or other personal detail. you can find gifts at all price ranges for your family and friends in one big swoop (babies, kids, men and women). 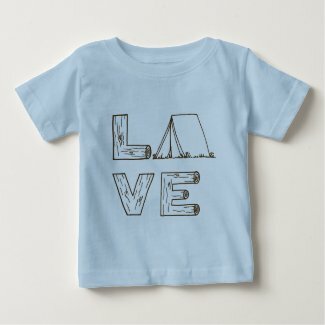 All my designs are kid friendly! Click on the image above to see the full collection in my zazzle store and get lots of gift ideas! Thank you for your support! Happy Holidays! You made it to Day 10 of the Declutter Game! Congrats!! I hope you found it just as helpful and motivating as I did! It’s amazing how good it feels to clean out the clutter and create a home that is organized and neat. With the past year focused on healing from surgeries, this project was way beyond due for me! And if I’m honest, it’s still not done but I definitely made progress these past 10 days. In fact, I got rid of 101 items! From clothes I had not worn in a long time to books and magazines I had already read, I was able to donate a carload of stuff. Certainly more than I could have imagined when I started this declutter challenge. The declutter game has helped me to put a focused short-term effort on creating a clutter free, serene living space. The best part is that with a more organized home, I won’t be wasting time anymore chasing around for lost items and I will have more time to create art! I found that it is most often easiest if you clear everything out of a drawer and then only put back what you truly need and want. Donate or trash the rest. Once you get started with clearing out the clutter, you will find that it is easier to make it a daily habit. Even if you spend just a few minutes on a small area, it makes a difference over time. Make sure you dispose of medications in a safe way. I wrote about reorganizing my medicine cabinet in this blog post. Here in Portland, you can dispose of medications in special drop boxes at the police station. Please check what is recommended in your home town. Reward yourself after the 10 days are up. It doesn’t have to be anything big. A reward gives you something to look forward to and it keeps you going! Now the fun part…. Here are some random items I found these past 10 days hiding underneath the bed, beneath piles of stuff and in the back of drawers, spanning many year's worth of family activities, celebrations and holidays from Halloween to Valentine’s Day! Thanks for playing along! Please leave a comment to share about your experience!